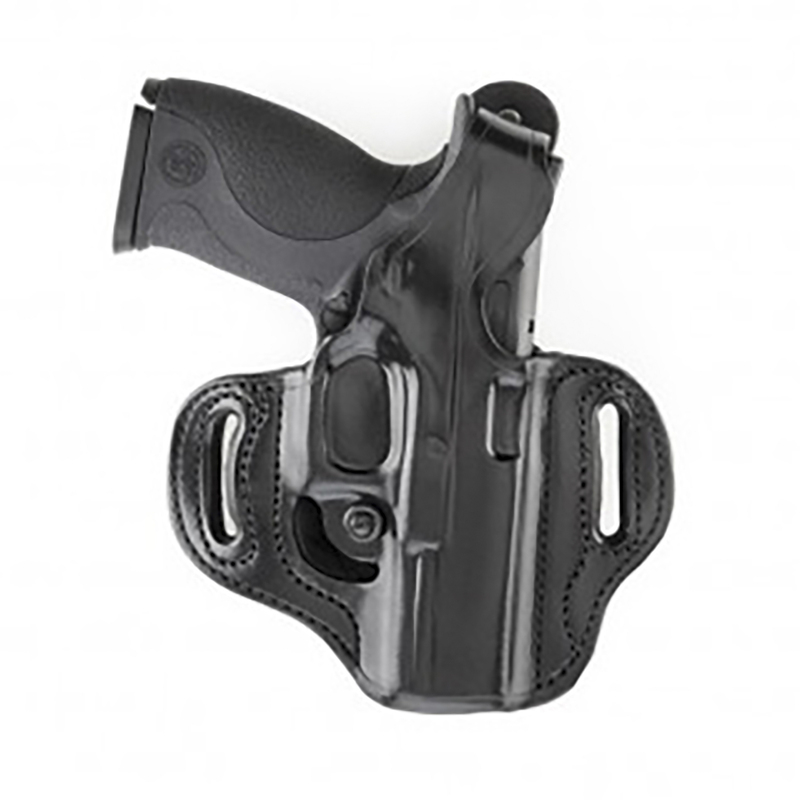 Aker's approach to this popular holster genre is extra comfortable because it's flat on one side! Using our special method, this holster is molded in fine leather to fit one's handgun with 100% of the holster pocket formed away from the body. At either side of the holster pocket are curved belt slots that cooperate to provide stability on the belt with unparalleled concealment. Inside the holster is a full-length molded sight channel. The thumb break design with a quick draw vertical configuration is backed up by an adjustable tension screw that does double duty as a trigger guard stop. The special dual-plane muzzle is suited to both standard and shortened barrels.